We also serve as a Canberra Wedding Venue. Located in Gold Creeks' charming and cosy Federation Square, Versatile Restaurant makes for a contemporary, relaxed and intimate venue for your wedding. Just 15 minutes from the city, nestled among the treetops and surrounded by a covered veranda, Versatile Restaurant can cater for up to 90 guests for a sit down reception, or 150 guests for a cocktail reception. Our team has hosted countless wedding receptions and functions, and believe that planning your reception should be fun, not a headache. We pride ourselves on our personal, hands-on approach and are committed to making your reception as seamless and memorable as possible. We at Versatile Restaurant have a number of package options, catering for all needs. 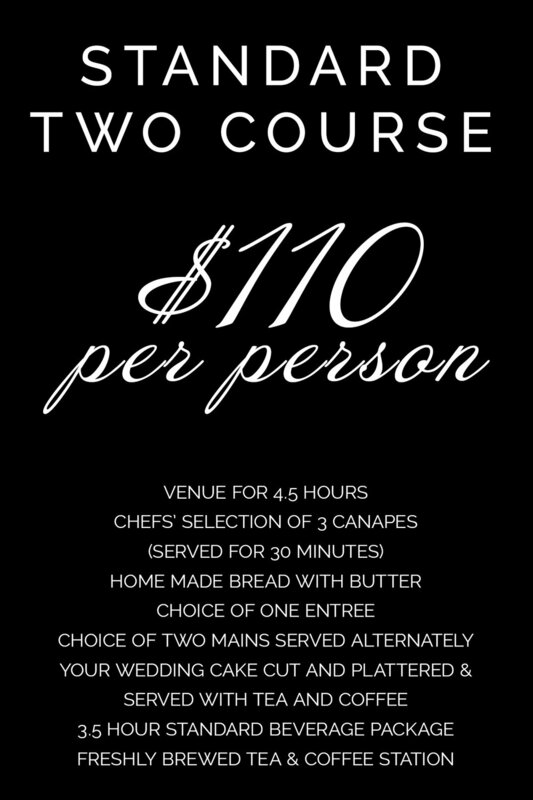 Starting at just $88 per person, all packages include venue hire, canapés, main course, dessert, beverages, tea and coffee station and cake serving. Our Standard Beverage Package includes House sparkling, red and white wines, Standard beers, Soft drinks and Juice. Alternative beverages are available upon request. 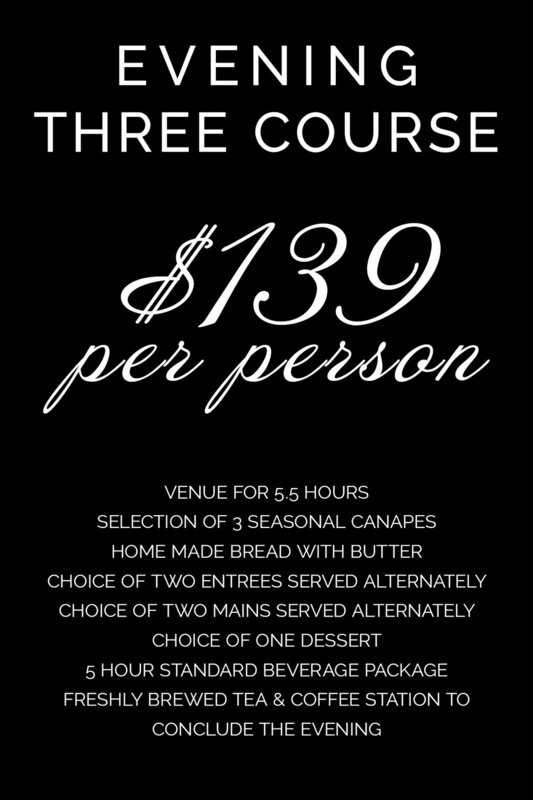 If booked prior to your function we can offer 1 extra hour for $350 (please note that all functions must conclude by midnight). Please note for functions held on Sundays and Public Holidays, a 15% surcharge will apply.